So this polish really doesn't match its name. 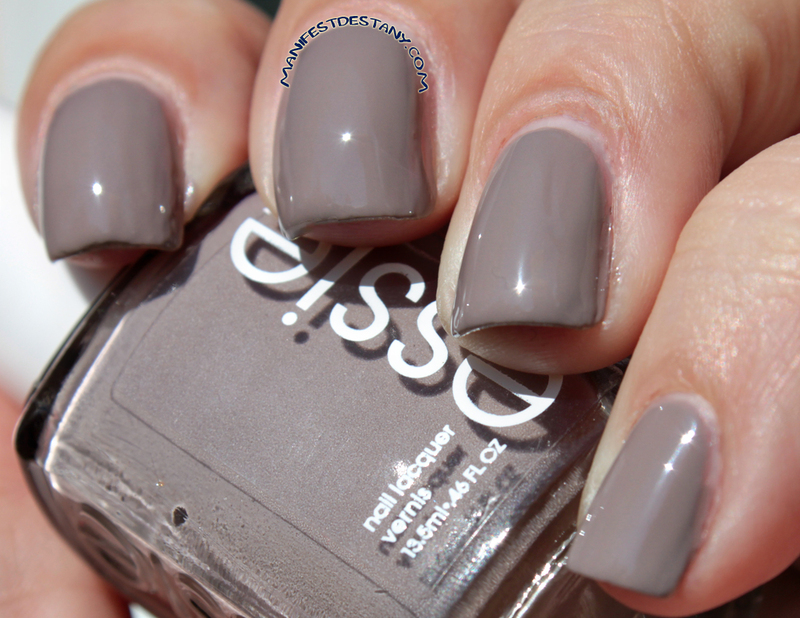 I would think something called Miss Fancy Pants would be eye-catching, extravagant and in your face...but this is not the case of this Essie polish, part of the Style-nomics collection. It's a greyish taupe, with maybe a little hint of purple? The formula was a little on the thick side, which is odd for Essie polish, at least to me. I've always found them thin. Anyway, this polish was good in two coats! I think it looks great with my skintone, but I just don't like the color. It's not me, ya know? Do you guys have colors like that? Ones that look great with your skintone, but you just don't like? DISCLAIMER: I was given a free product or sample because I'm a Klout influencer. I was under no obligation to receive the sample or talk about this company. I get no additional benefits for talking about the product or company. This blog is written and edited by me, and the opinions are not influenced in any way and are not compensated. Please read this post for more information.